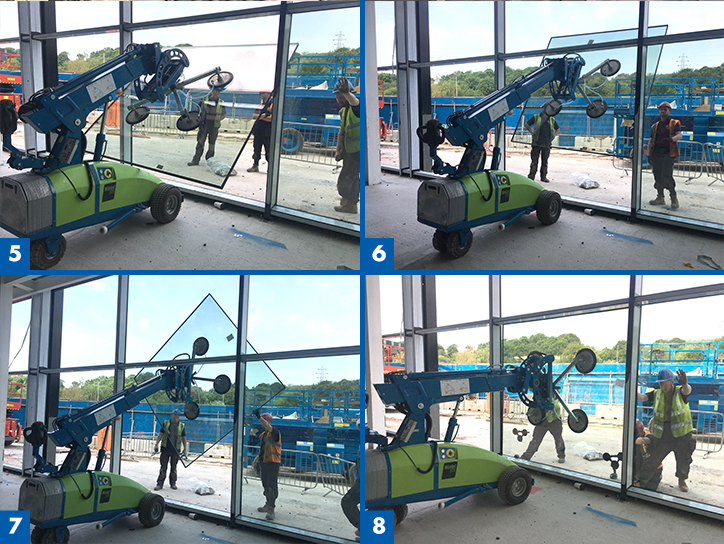 Winlet glazing robots have been a major hit with glass lifting hire clients across the UK – and these images show why. 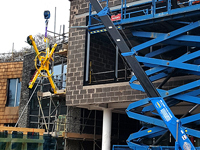 The company using this Winlet 575 glazing robot has described it as a “gamechanger” in the curtain wall installation industry. 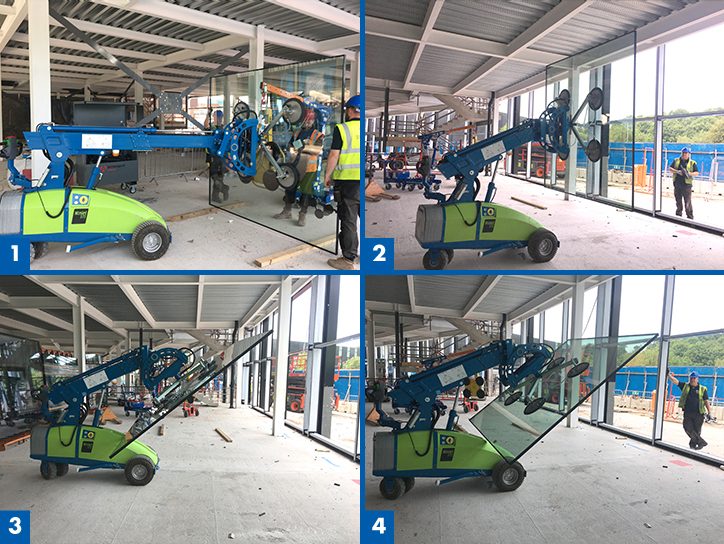 It has been “amazed” by what the glass handling and installation machine can do, and says other contractors are also so impressed they stop and watch the glazing robot in action. The Winlet 575 electric-powered glazing robot has a maximum lifting capacity of 575kg, yet is just 890mm wide, 1880mm long, and 1600mm wide. Its combination of high capacity, compact design, and excellent control of the load, means it can be used for inside out glass panel installation. This does away with the need for large external cranes to install externally. Glazing can be carried out faster, safer, and with reduced impact on other site operations. The Winlet glazing robot allows fully-automated movement and control of the load. This is combined with linear side shift and gyroscopic control in the vertical plane. While a glass panel is moved into position it can be kept perfectly aligned with the aperture, significantly reducing manual handling, and increasing productivity. The vacuum system on Winlet glazing robots are also designed to be ultra-safe. In the event of a catastrophic failure, the vacuum valves stay open, so the load is still held. 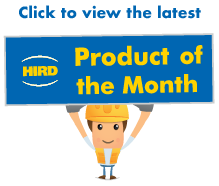 Hird is the authorised UK and Ireland distributor for Winlet glazing robots, which are designed and manufactured in Denmark. The Winlet 575 is one model in a range of glazing robots. The smallest machine is the Winlet 350. 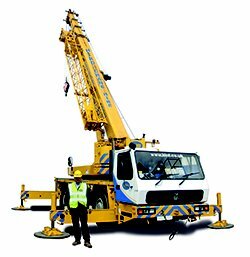 The largest is the Winlet 1000, with a lifting capacity of 1,000kg. 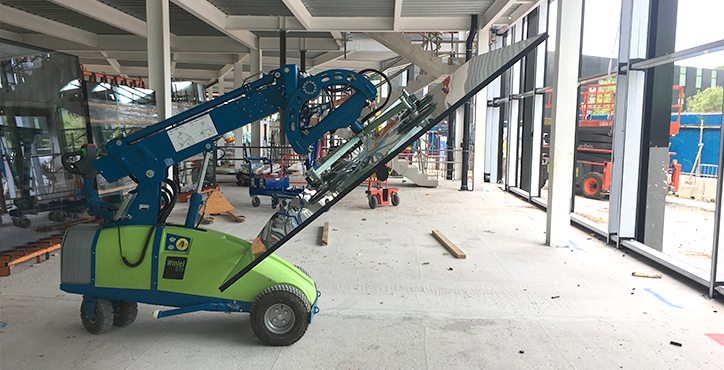 There is also the Winlet 350TH, which is designed to be lifted on a telehandler, allowing glass to be installed at a greater height and reach. 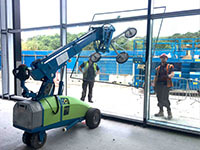 For more information about Winlet glazing robot hire options from Hird, call us today. The machines are available across the UK via our three operational centres. 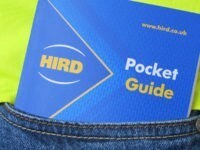 Hird can also provide accredited glazing robot operator training.